Join the French Cultural Center for a series of cooking and wellness workshops for women. Is living healthy at the top of your resolutions this year? Join physician and Certified Health and Wellness Coach Martine Vounatsos for a series of three cooking workshops. We will discuss ways to incorporate wellness into every aspect of a woman’s mental and physical health, from exercise and supplements to sleep habits and cooking methods. Each workshop will begin promptly at 11:10 AM. Aprons, ingredients, and will be kitchenware provided. Please note, this event is intended for women only and in English. Come learn about nutrients, water intake, and dietary habits, then enjoy preparing soupe de poireaux et pommes de terre avec une salade en vinaigrette (potato leek soup and salad with homemade vinaigrette). In this discussion, we will learn about sleeping better and exercising—how and when? For the cooking workshop, attendees will prepare velouté d’asperges et salade de carottes râpées (asparagus soup and homemade carrot salad). For our last discussion, we will learn about vitamins, supplements, and meditation. For the cooking workshop, attendees will prepare soupe et crème de champignons et salade frisée au vinaigre balsamique (mushroom soup and frisée salad with homemade balsamic vinaigrette). Due to the nature of the event, Eataly is unable to make menu substitutions to accommodate allergies or dietary restrictions. All guests planning to consume alcohol must be able to produce valid government-issue identification to prove they are 21 or older. 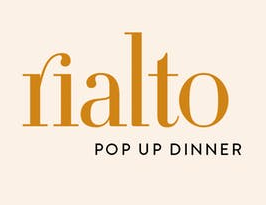 Please join Porto Boston for a second seating on Sunday evening January 27th for a Rialto Pop Up Dinner prepared by Chef Jody Adams. 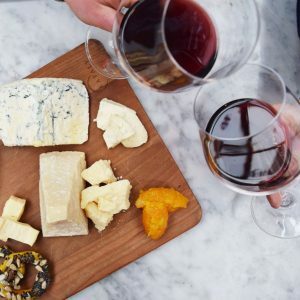 Enjoy light bites and cocktails from 6-7pm, followed by a reminiscent 5 course dinner of Rialto inspired favorites paired with our selection of Italian Wines. Tickets are limited and are required to attend this event! ** Please note, unfortuntely, they are not able to accomodate substitutions for this event. 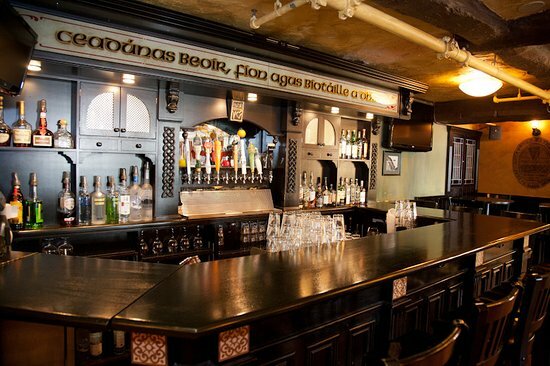 Join Solas on Boylston Street for the second dinner of their Whiskey Wednesday series! Why travel around the world to try new whiskeys when we have them all right here at Solas? Come join Solas for an evening of dinner, drinks & laughs! Beam Suntory’s Maggie Sinclair will share her expansive whiskey knowledge; while Solas Sous Chef, Alex Galvis, will speak on the inspiration behind her delicious three course meal. Slainte! PLUS, a Japenese Gin Roku toast to end the night! Lookout for details on part three of their series February 6, where they will sample luxury scotch! As the French Cultural Center clears room for a new year of tastings, you have one last chance to taste some of their favorite bottles. Over the past seven decades the French Cultural Center has had the opportunity to partner with an abundance of fine institutions, vintners, and wine collectors. And now, it is time again to make room for a new year of tastings. Join them for this fun evening of fine wine, featuring a broad selection of vintners that we know and love. This exceptional tasting will feature six wines, from various domains, regions, and even countries! This tasting will be led by Certified Sommelier Alexandre Sojfer, resident Sommelier at La Voile Boston. The event will start no later than 7:10 PM. Smoky black and blue fruit scents are complicated by suggestions of licorice and cracked pepper. Focused and chewy on the palate, offering bitter cherry and black currant flavors and a hint of cured meat. Established by the Shaunessy and Oldfield families on the South Okanagan’s legendary Golden Mile Bench in 1993, Tinhorn Creek is a very special winegrowing project, comprising 150 acres of spectacular vineyards in two distinct areas, one on either side of the valley. Isle Saint-Pierre is a small island in the middle of the Rhone River, just 25km south of Arles and 15km from the sea. The vineyards, planted at the very heart of the Camargue region, stretch over 170 hectares around the island. Pale straw colour with a lively nose of gooseberry and lemon; fruit character is replayed on the palate; crisp and dry, with light / medium body. From a small producer in France’s Loire Valley comes this dazzling white wine, rich with grapefruit and gooseberry aromas. The estate boast mature 25-30 year old vines and a mix of chalky, silicious soils. This ripe, smoky, wood-aged wine shows ample fruit as well as solid tannins. The wine has richness and spice, the wood well balanced by black plum and final juiciness.